I am currently offering only private classes in the comfort and convenience of your own home. My fee for private sessions is $550.00 for the 10-week course (Other courses and fees listed below). If this option works for you and your busy schedule, call me at 858.213.7332 or email me at dcannone@birthbootcamp.com to reserve a day and time for your private classes. 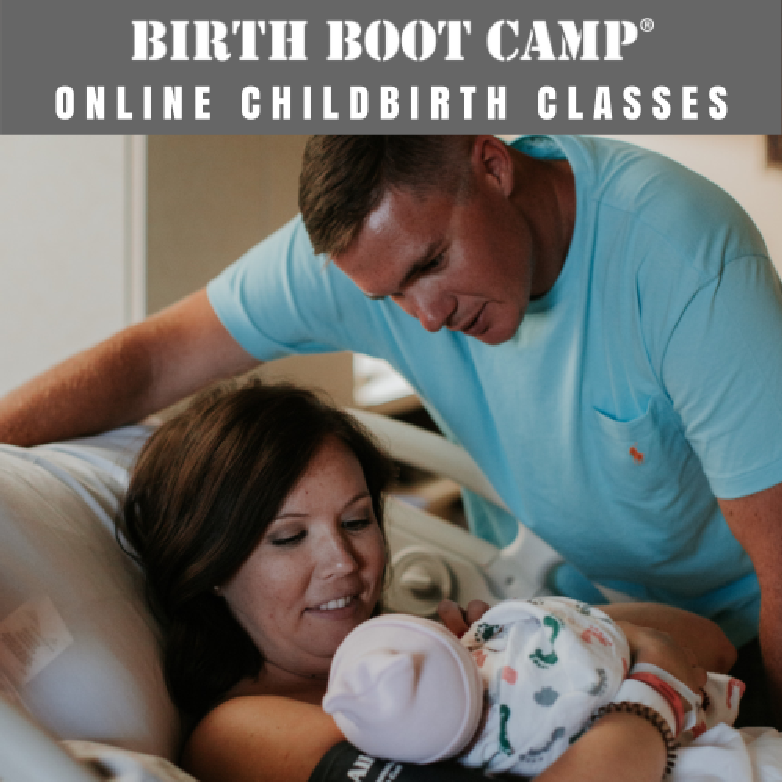 Birth Boot Camp Refresher Course: The Refresher Course is a 3.5 hour course that is intended for couples who have previously given birth without medication. It is not a crash course or a condensed Birth Boot Camp class. 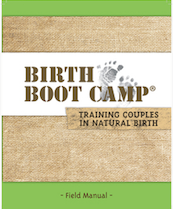 Couples who have had other children but not without medication should enroll in a full Birth Boot Camp 10-week, natural childbirth class for couples that includes a comprehensive workbook, audio relaxation training, and an complete breastfeeding video. Class is best taken between 36-38 weeks. Includes a 20-page Refresher Course booklet and a tote bag. A class reunion after all the Birth Boot Camp babies arrive! Breastfeeding: The Ultimate MRE: An exclusive access to this video by IBCLC lactation consultant Mellanie Shephard. Three and a half hours of breastfeeding information for you to own and refer back to as needed! This video is also available for purchase separately. It makes a great shower gift for any new or expectant mom! Weekly Research Resources: After each class you will receive an email containing the most current research, along with links and articles, on topics that pertain to what we covered that week. These will help you make the most informed decisions about your birth. The Hospital Birth Class is specifically designed for couples planning a hospital birth, wanting something shorter than the comprehensive10-week class, and desire to be informed and able to navigate their birthplace. The goal of this class is to prepare you for an amazing birth with an understanding of informed consent, common tests and procedures, natural ways to avoid pain, knowledge of the process & physiology of birth, communication skills, labor tools, and knowledge specific to the hospital birth experience. Class includes the Hospital Birth booklet. Course Length: This class is 15 hours in total, typically taught over six 2.5 hour sessions. Preparing for a home or birth center birth is a unique experience. Less than two percent of births in the United States occur outside of the hospital and it can feel special, as it should. It can also feel isolating, which isn’t so good. This class is designed to prepare you for the particular needs of those preparing for an amazing out-of-hospital birth. Class includes the Out-of-Hospital booklet. Course Length: This class is 10 hours in total, typically taught over four 2.5 hour sessions. This class is designed to help both partners build confidence for the big day. You will take in lots of relaxation, comfort measures, massage, imagery for labor, as well as communication skills for labor. This workshop does not replace a childbirth education course. The Comfort Measures booklet and the beautiful Relaxation & Visualization workbook that comes with this workshop are ones you will want to spend time with for the duration of your pregnancy. Course Length: Class time approximately 4 hours. This is your manual for early parenthood! Topics include breastfeeding (3.5 hour video course included), newborn procedures, baby wearing, safe sleep, postpartum topics, and baby comfort techniques to help you and your partner get off to a great start with your new baby. The Homecoming:Life with a New Recruit workbook is included. Length of Course: Class time approximately 4 hours. There is probably no other time in life where your food and fitness are more important than the year you grow and birth a baby. Being healthy and low-risk will not only help you in the delivery room, but you will feel better during pregnancy, birth, and recover more quickly postpartum. This class is designed especially for you. You will learn the how-tos in class and build a great physical foundation for your pregnancy, birth, and baby. Read the workbook cover to cover, or use it as a reference. A huge value and a worthwhile investment. Course Length: Class time approximately 3 hours. Siblings at Birth Class and Workbook! The Birth Boot Camp Sibling Class is not just about changing diapers and learning that babies cry. This class strives to prepare your child for the birth of the baby. Including them in this process helps ensure a close family bond. When children are included in the preparation for childbirth with their own birth class, they see the coming baby as a celebration. Family bonds will be stronger and sibling rivalry will be minimized. Sounds, facial expressions, and different ways that mom may act in labor. $$$ Tips: Like the idea of taking a great childbirth preparation class like Birth Boot Camp but think it’s too expensive? 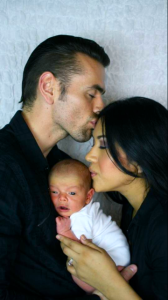 REMEMBER - you will remember the birth of your baby forever. We want that memory to be amazing! I look forward to working with you on creating the amazing birth experience you desire. While a live class is always recommended, we do offer on-line classes too. Payment is currently accepted via Paypal, Venmo, Cash, and Check. Deposits are due at least two weeks before the start of class. The remaining balance is due at the first class.